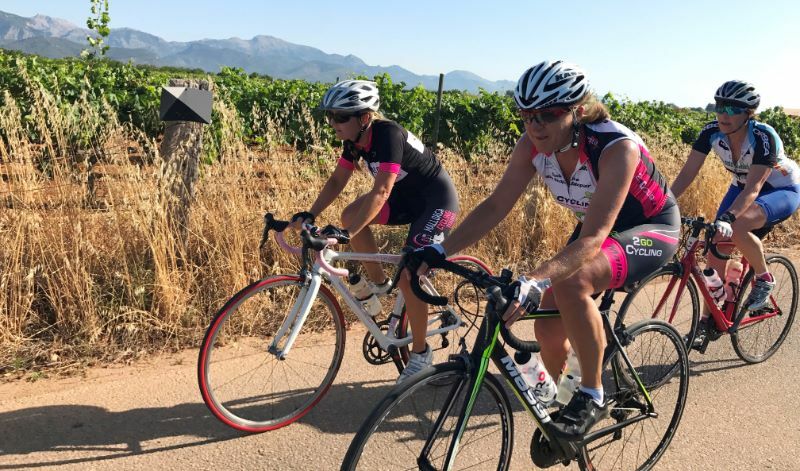 Are you preparing for or would you like to prepare for a Summer event? 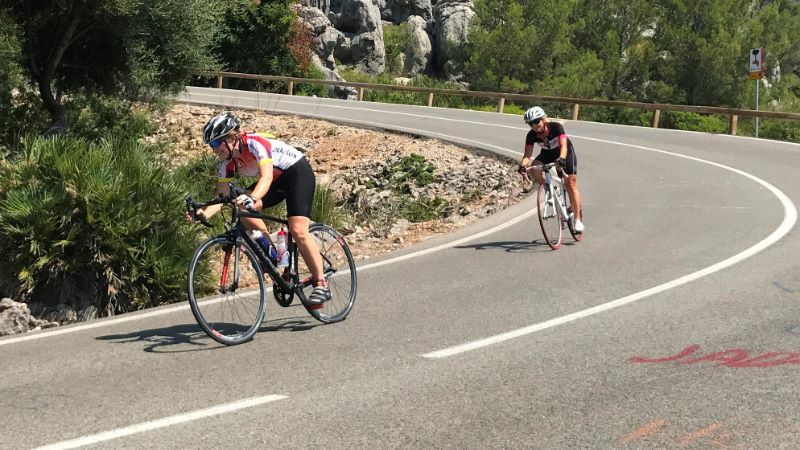 It could be a long distance event, a very hilly or mountainous event, maybe the London – Paris, The Marmotte or Etape du Tour? 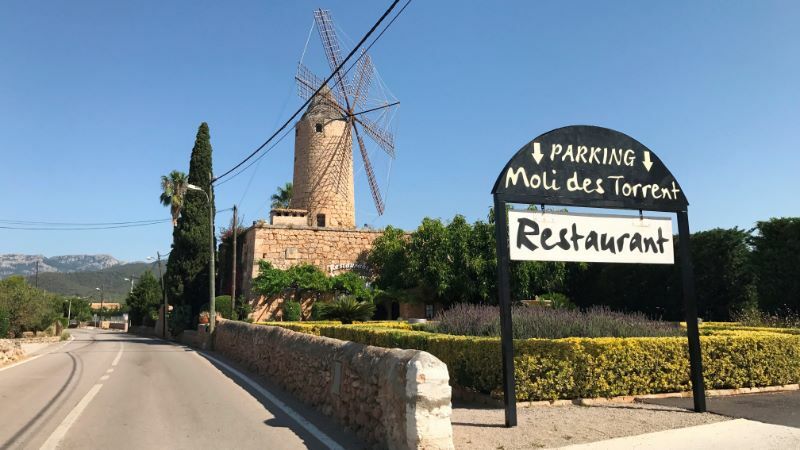 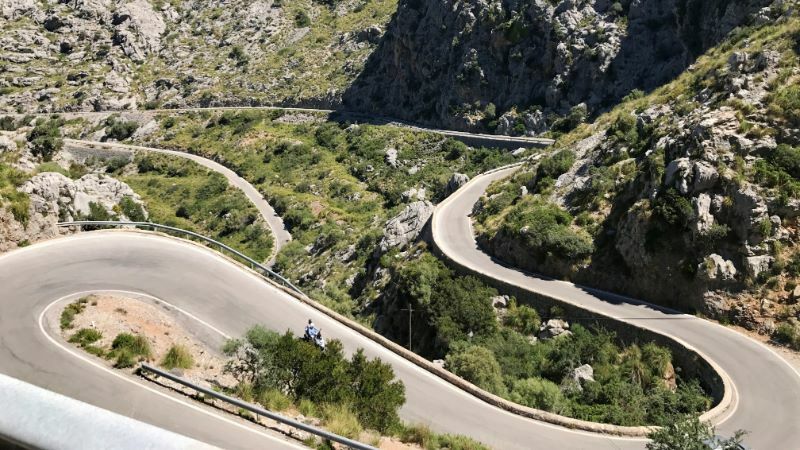 Mallorca combined with Mallorca Cycling Tours can certainly help you fine tune your preparation for these. 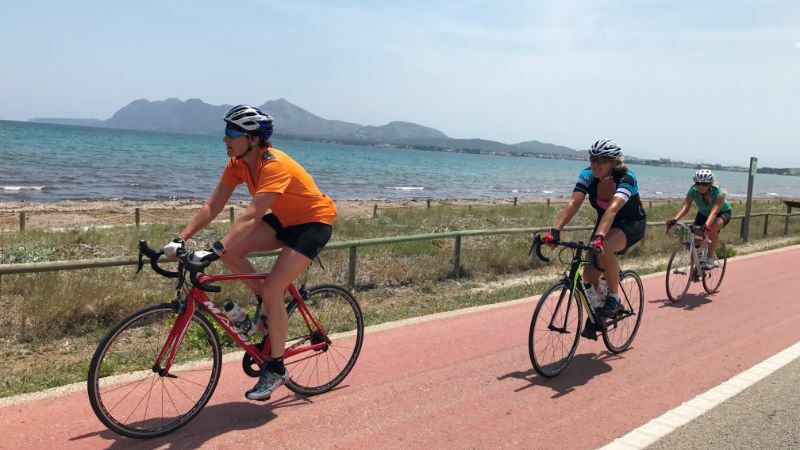 Now it’s Summer, you can get used to cycling in the heat and then chill in the Sea afterwards! 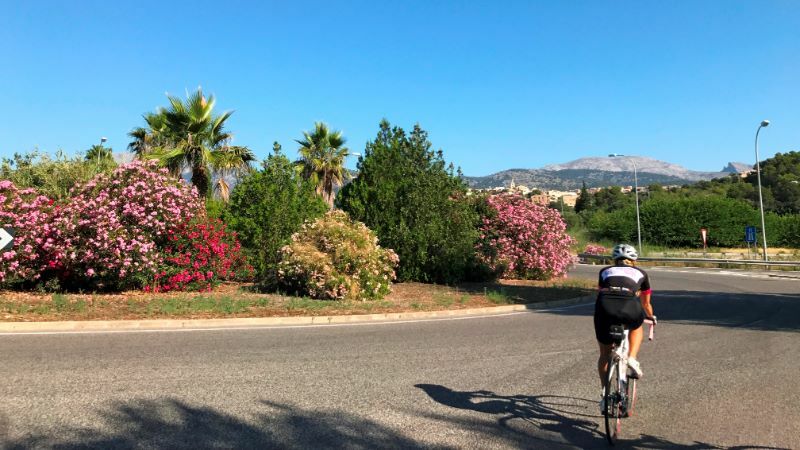 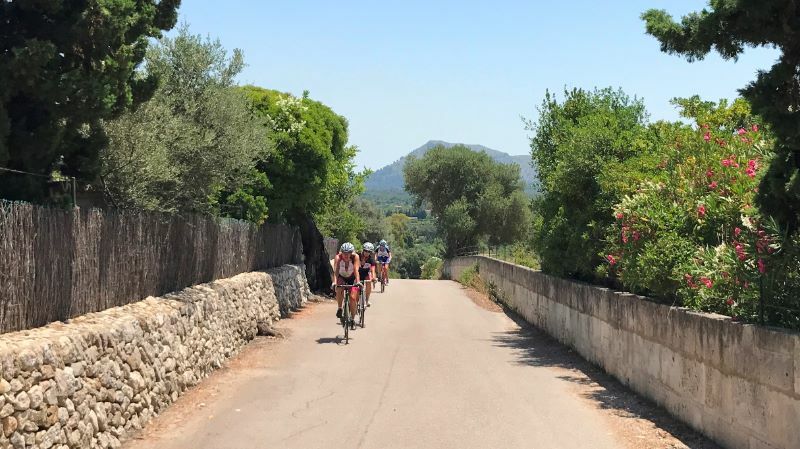 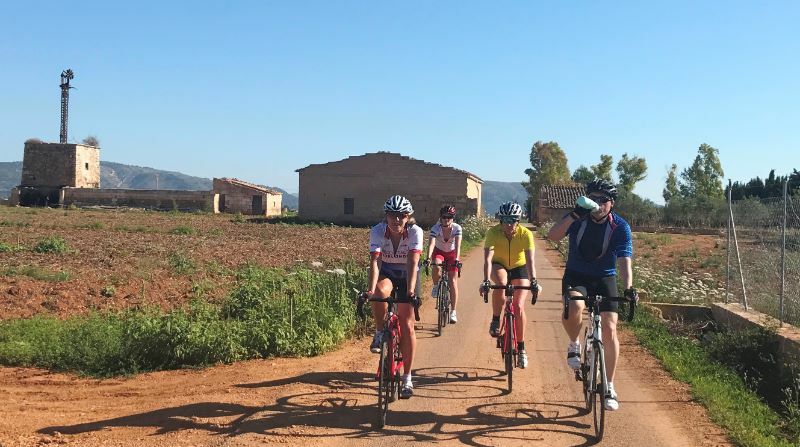 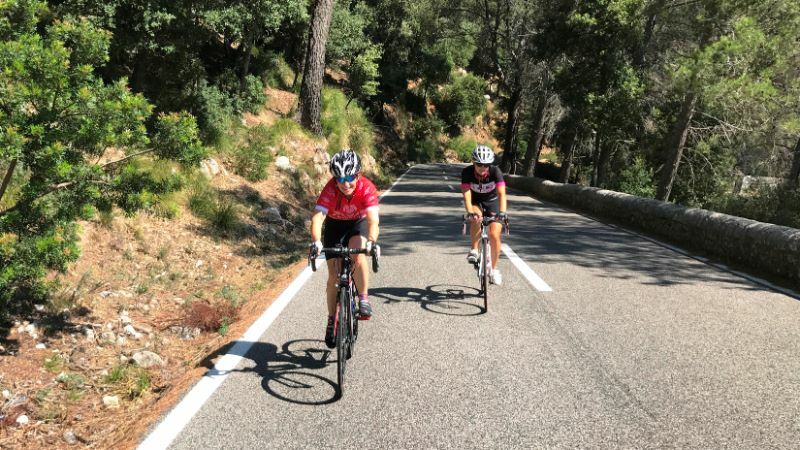 You can ride in the mountains and we can help you improve your cornering or descending skills, these will help to make you enjoy your event more as well as cover it faster. 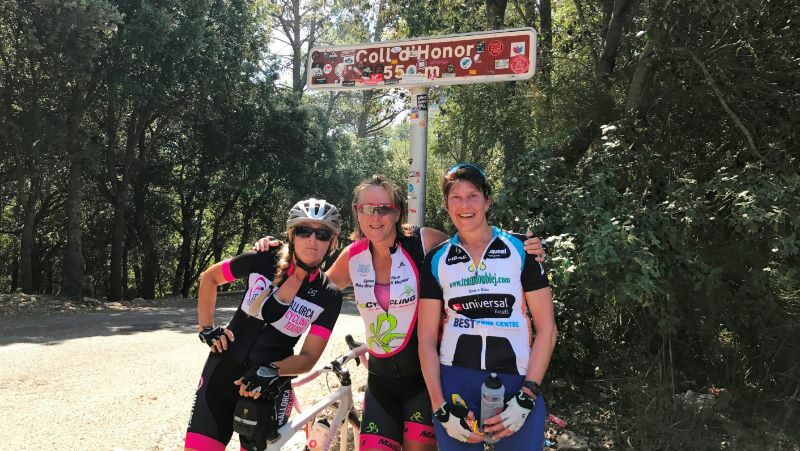 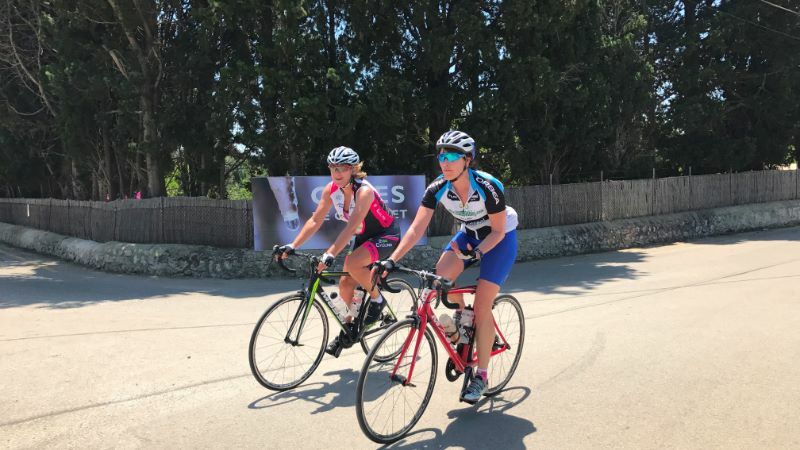 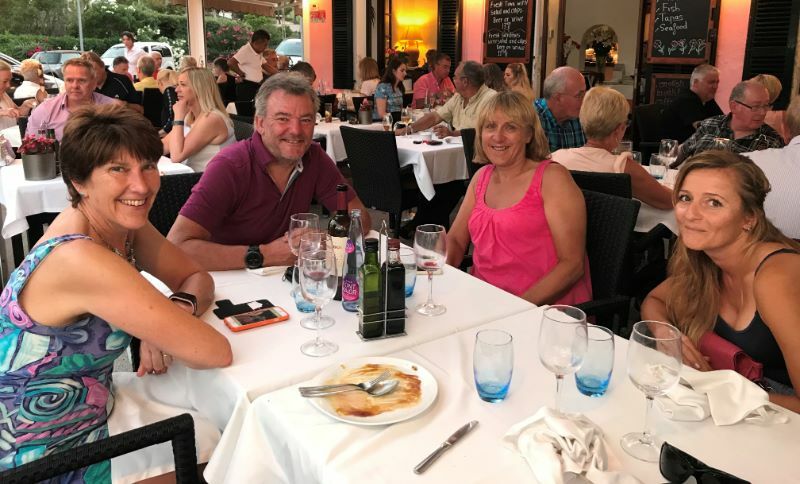 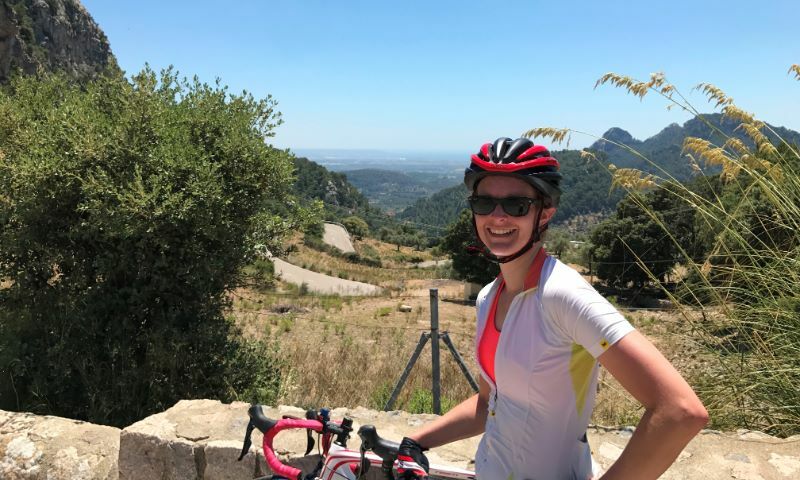 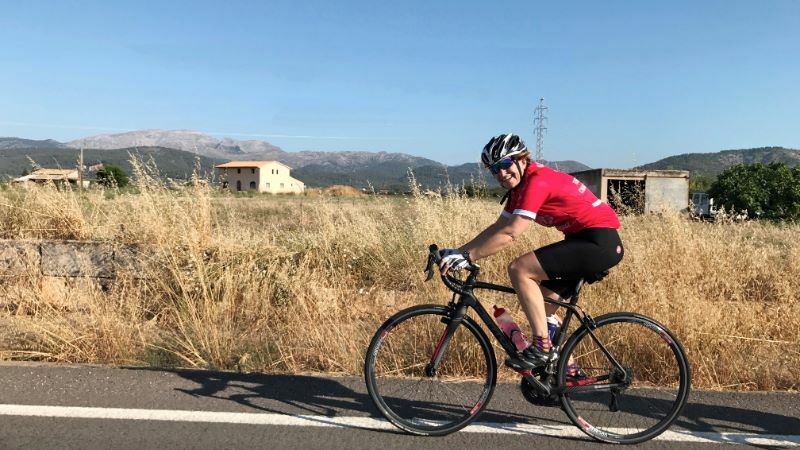 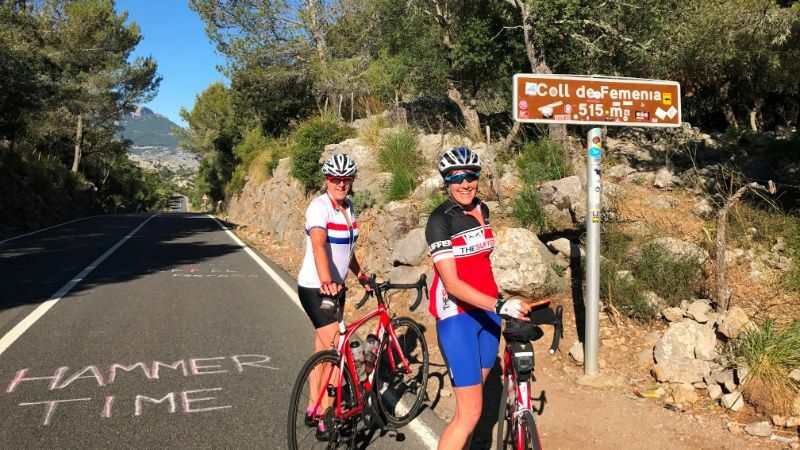 Alison had some time trials and triathlon events coming up, Gaby had the Marmotte and the Etape, whilst Julie would be riding LEJOG later in the year. 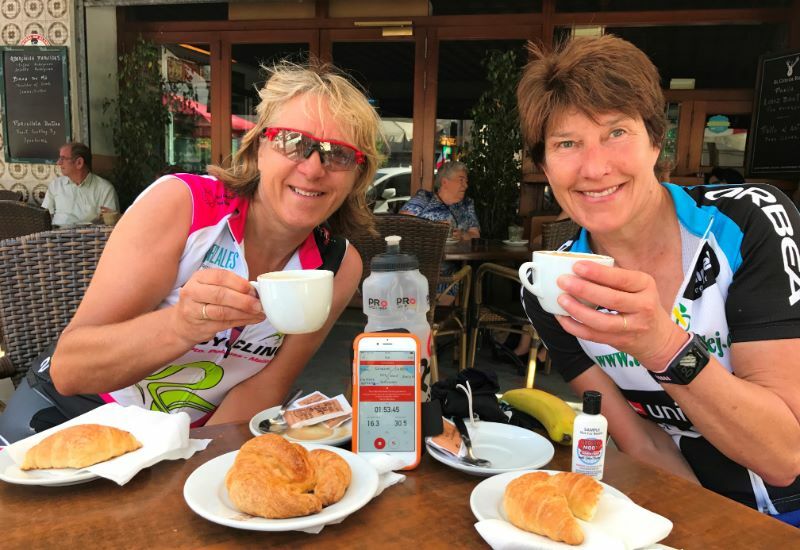 Here are some of the pictures of how to enjoy your event preparation! 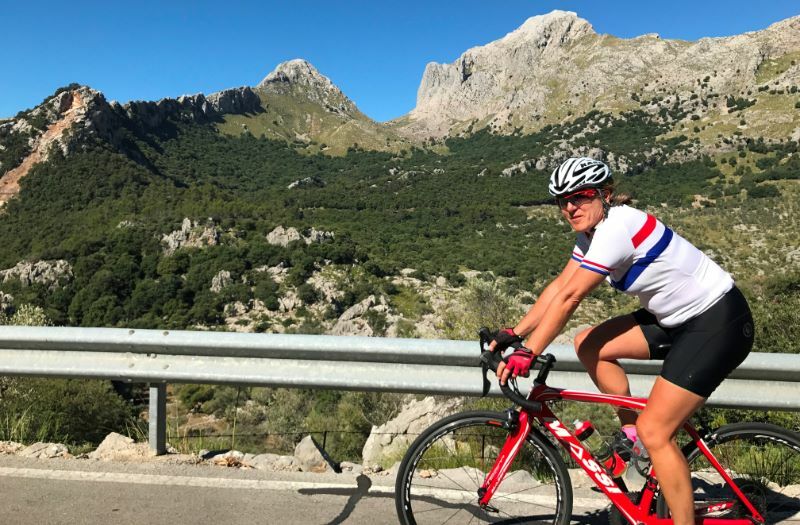 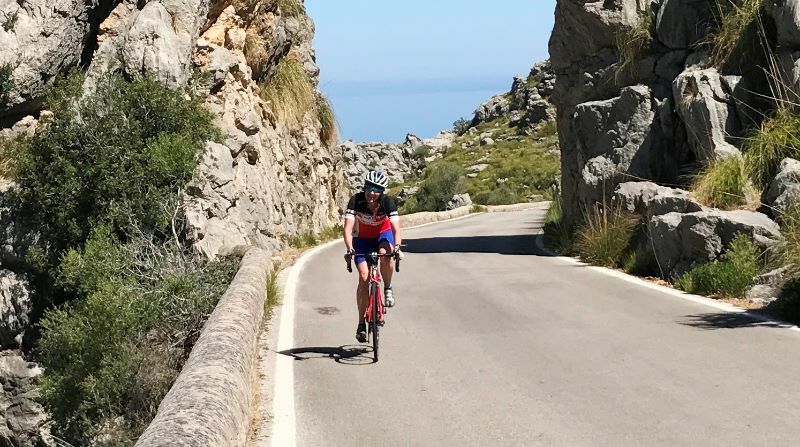 Gaby squeezed in doing Sa Calobra twice on the Saturday, followed by a longer mountain route on Sunday and then we used Petra as a recovery day ride. 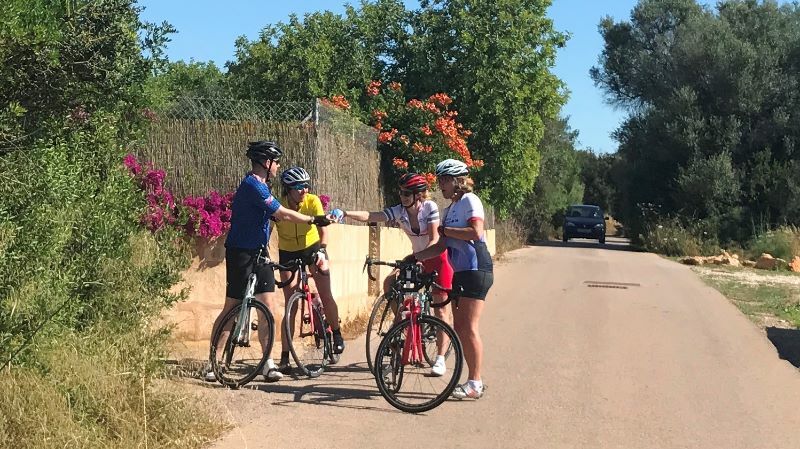 This then led to a new cycling term – “To have done a Gaby” or “To be Gabyed”. 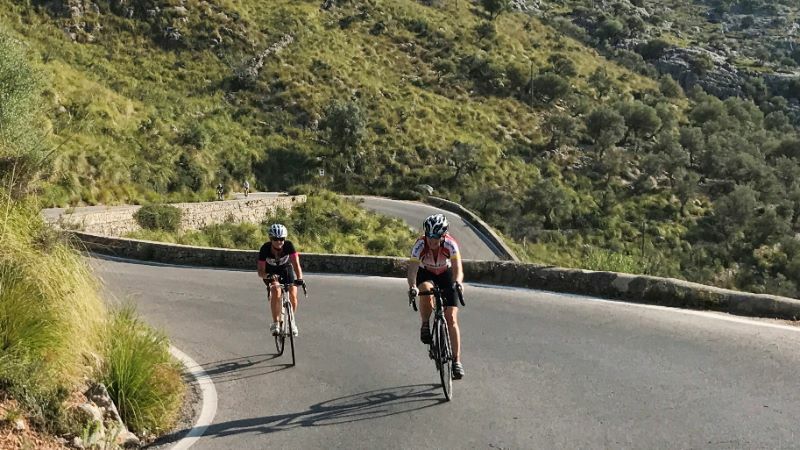 If you ride really hard, in the heat and suffer lots, then you will have experienced this! 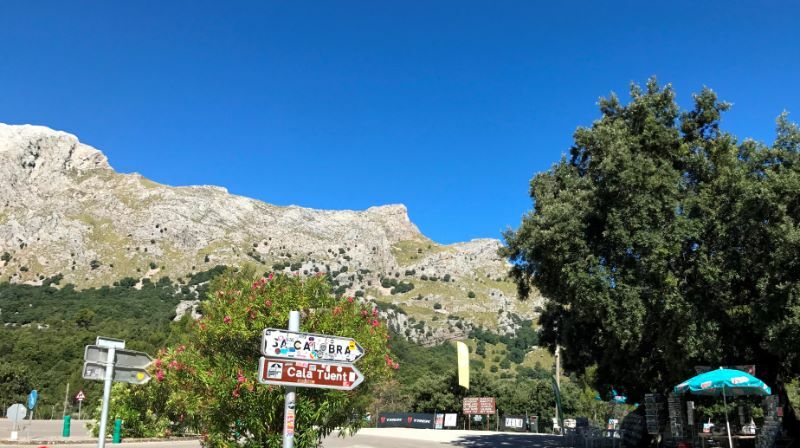 We used this term frequently the following weeks! 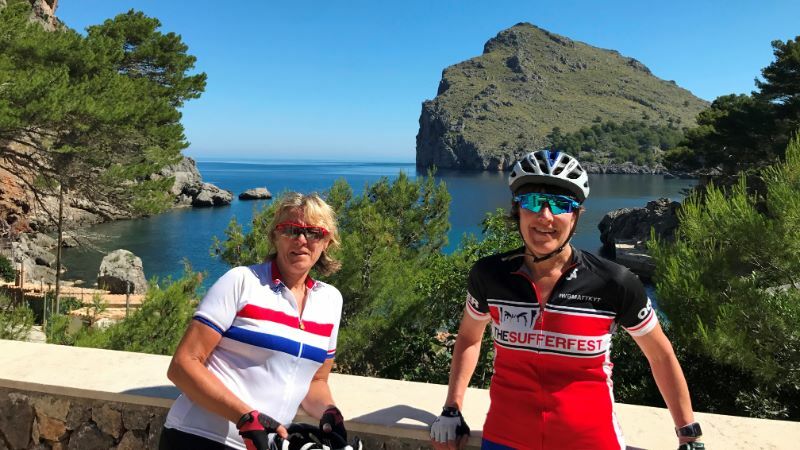 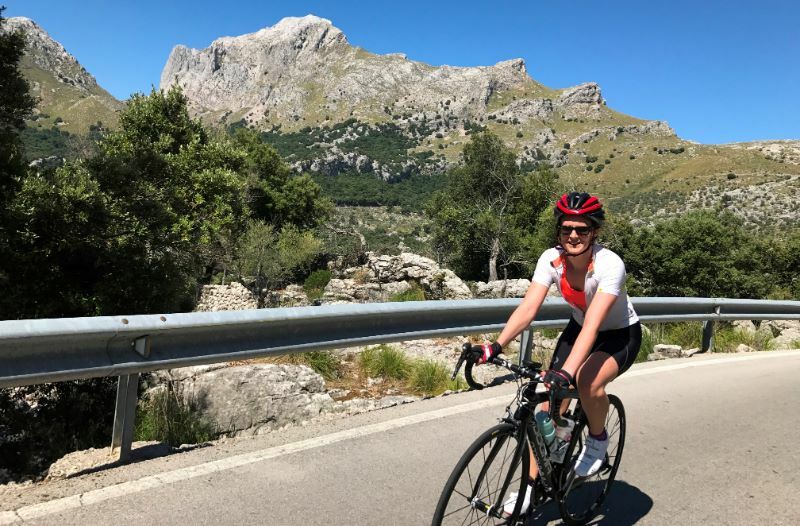 Alison and Gilly did their first Sa Calobra rides and they did so well, especially as it was 30 deg for most of the ride. 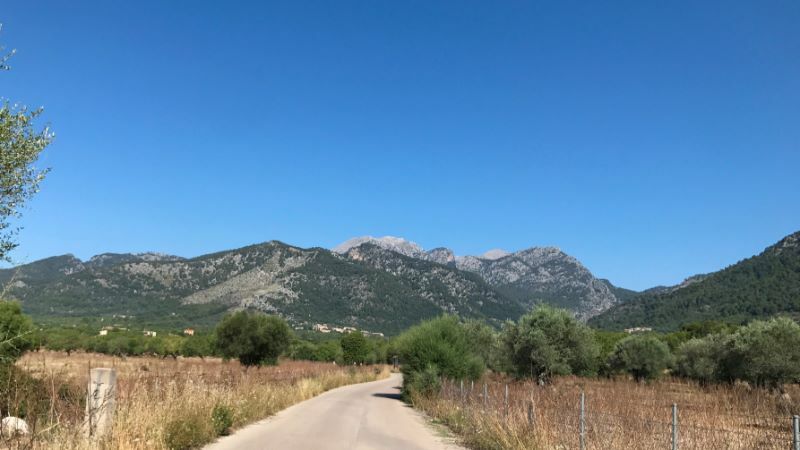 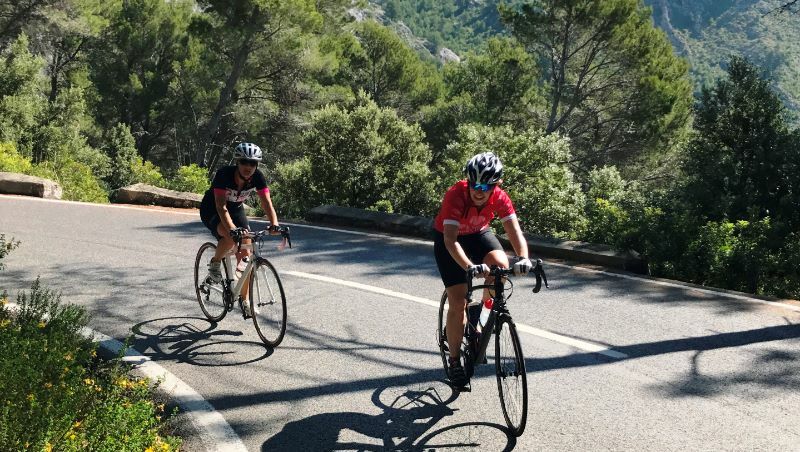 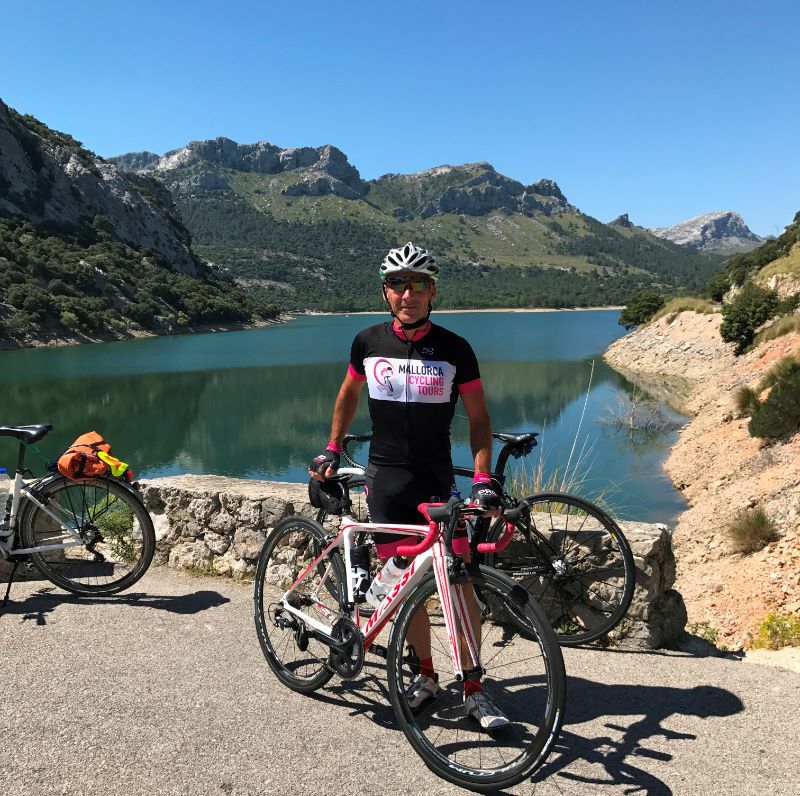 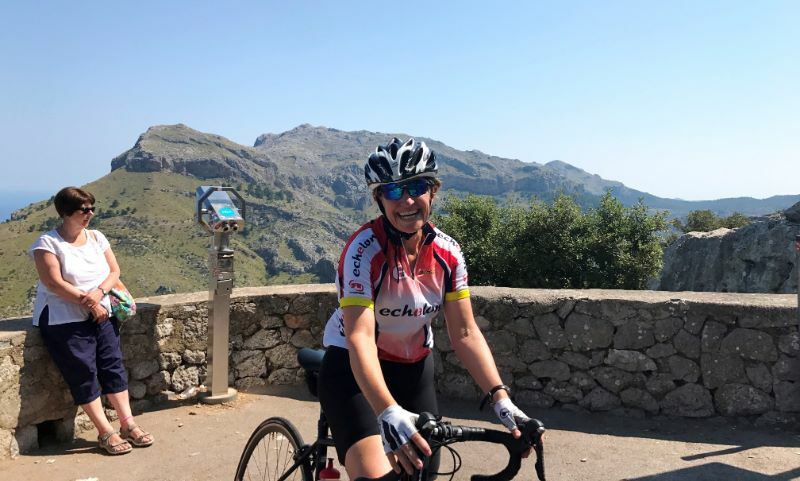 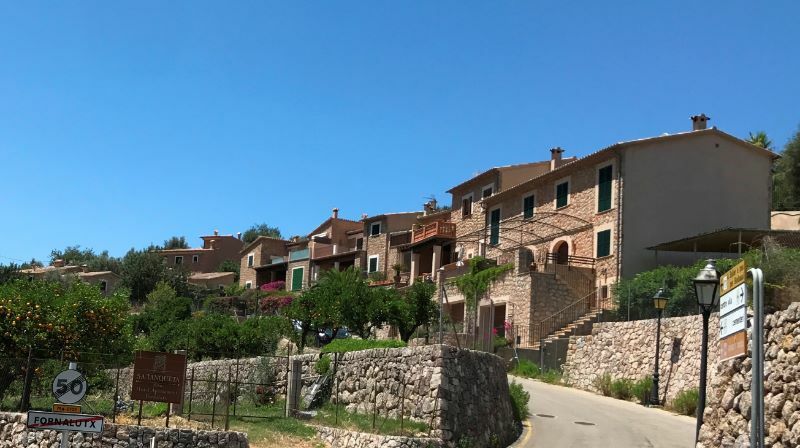 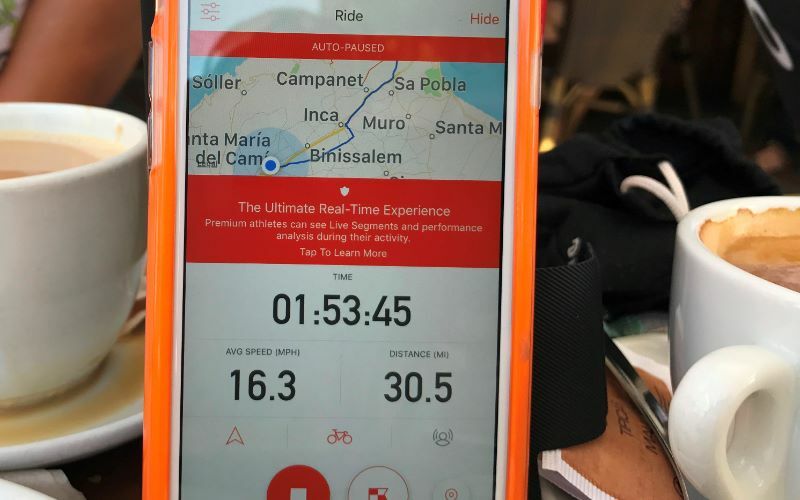 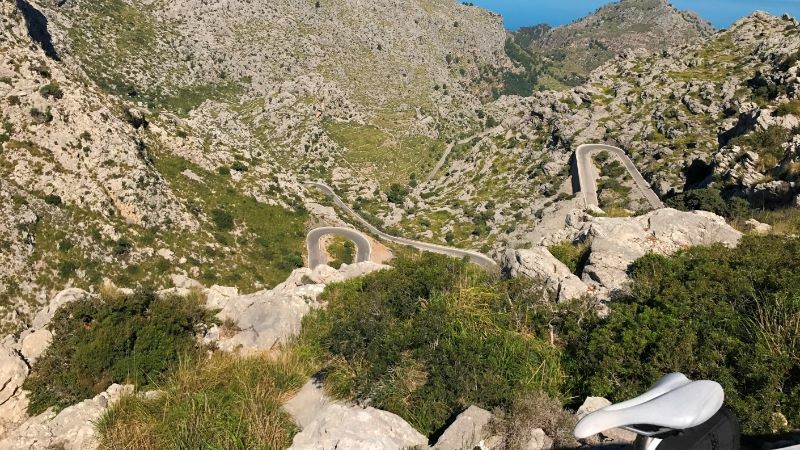 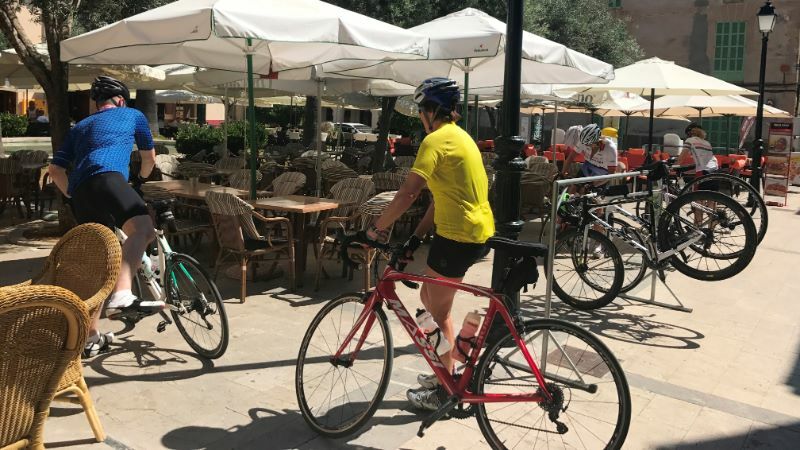 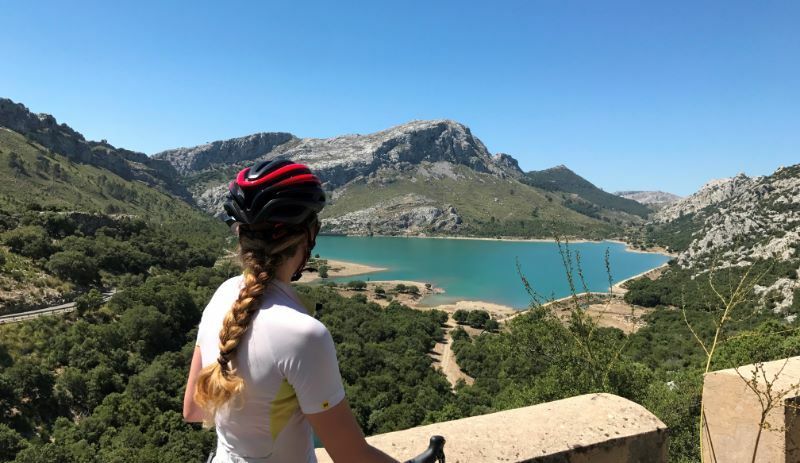 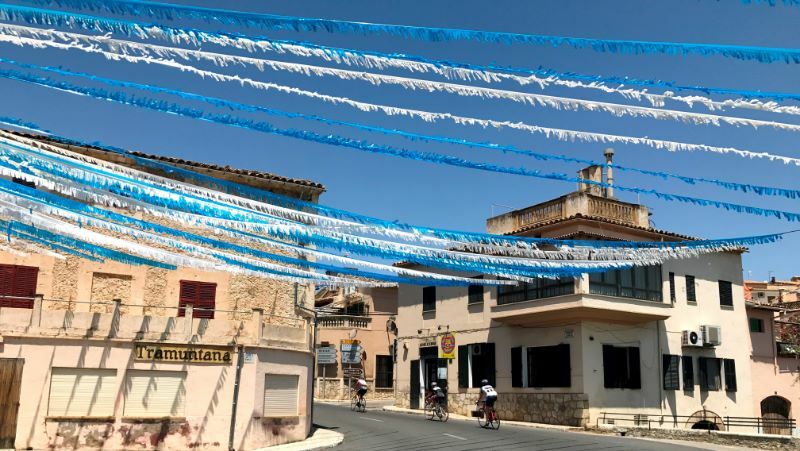 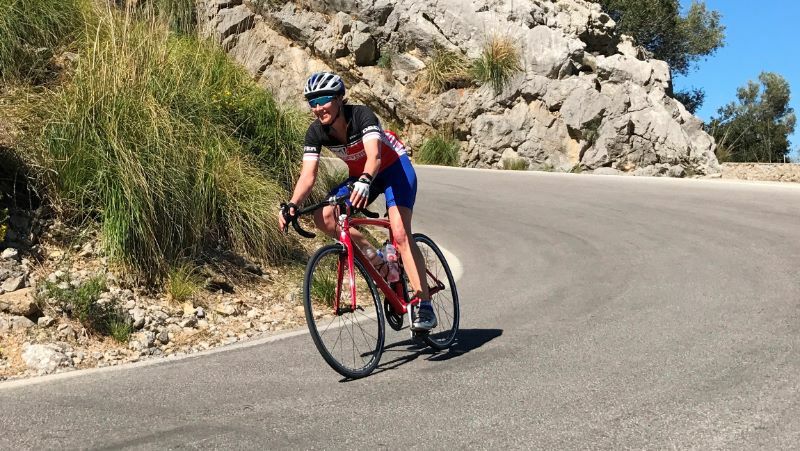 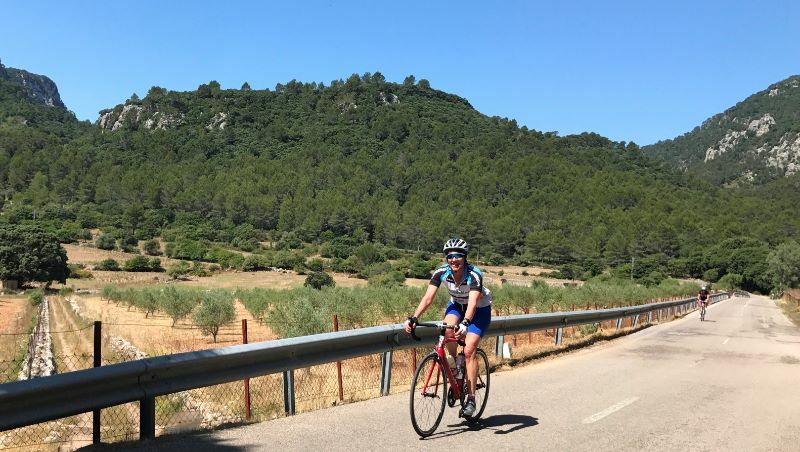 When you ride up out of Sa Calobra, the climb itself is tough but what makes the ride so hard is all the climbing you do to first of all get there but then also the same to get back! 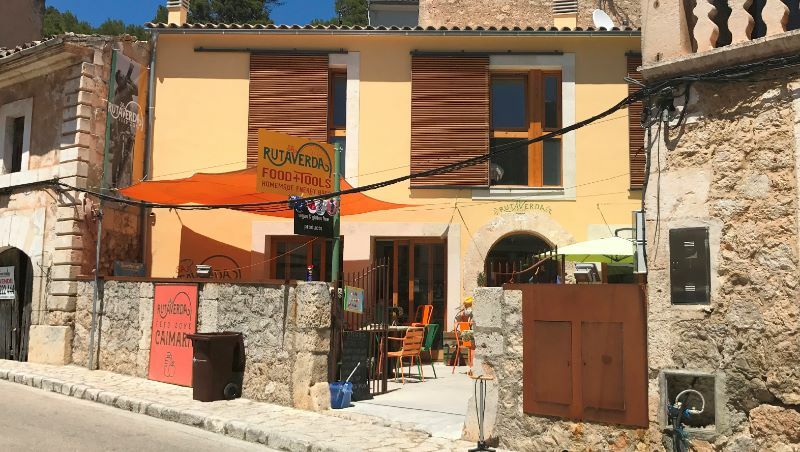 We enjoyed some super smoothies in Rutaverda on the way back and they were so refreshing. 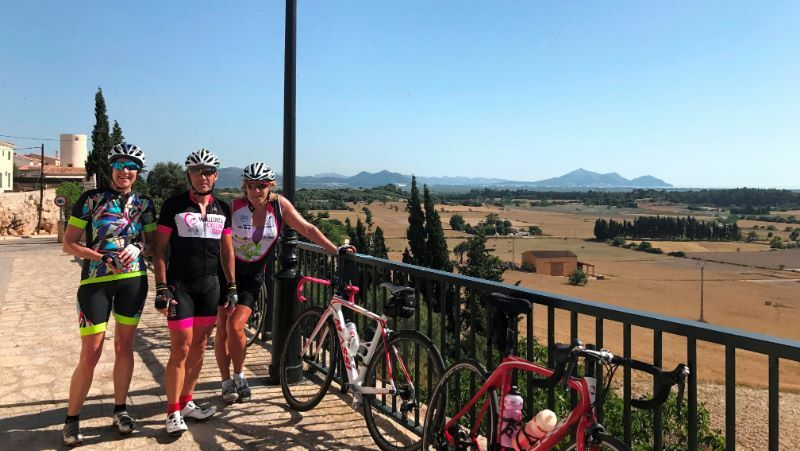 We fitted in a “cake day” ride before then tackling Orient via Col d’Honor and with the expected temperatures, organised an early start. 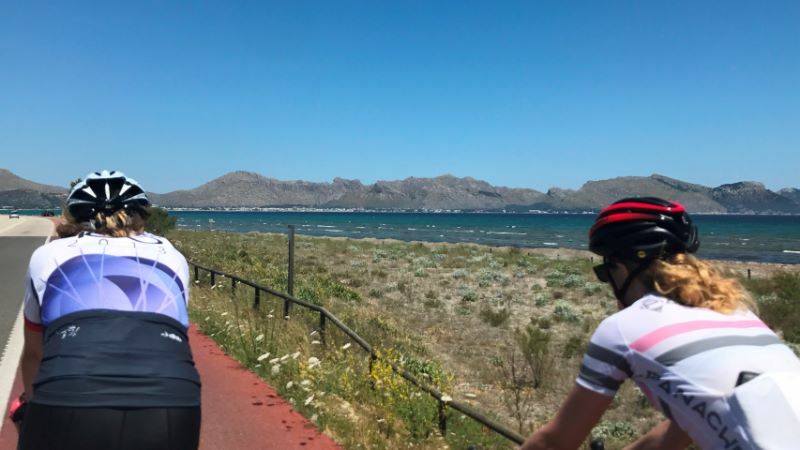 Another great day, super views and cycling experiences by all. 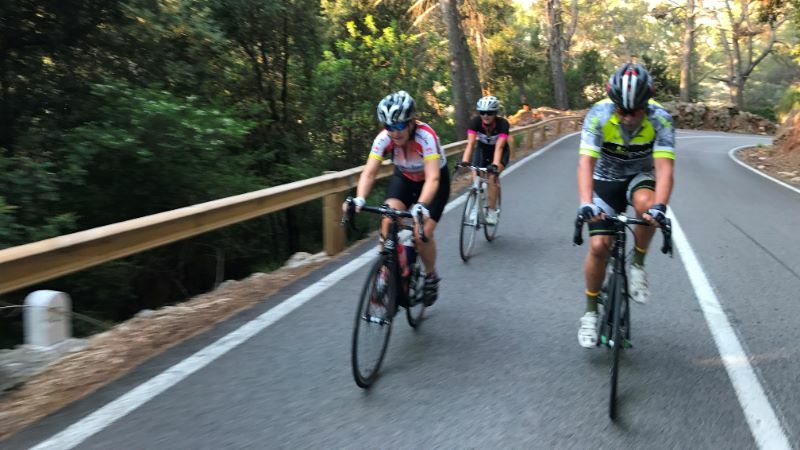 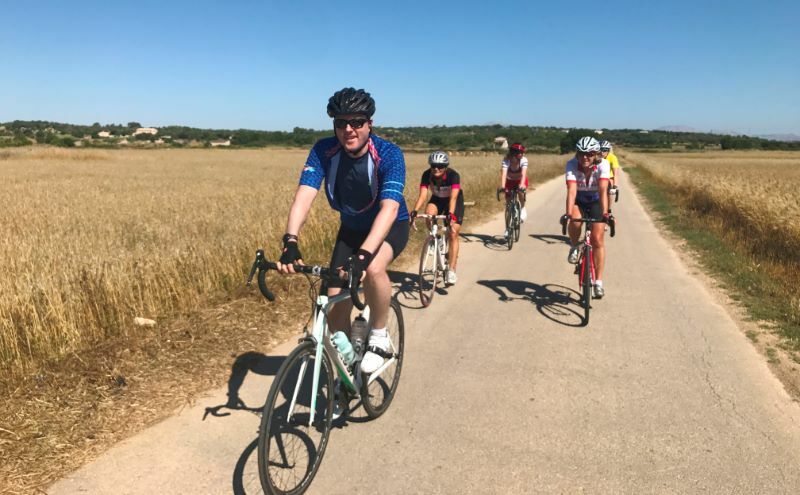 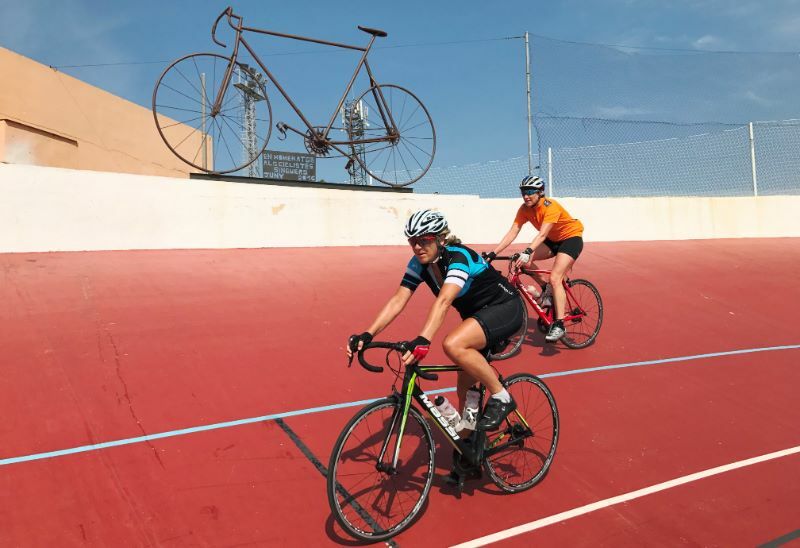 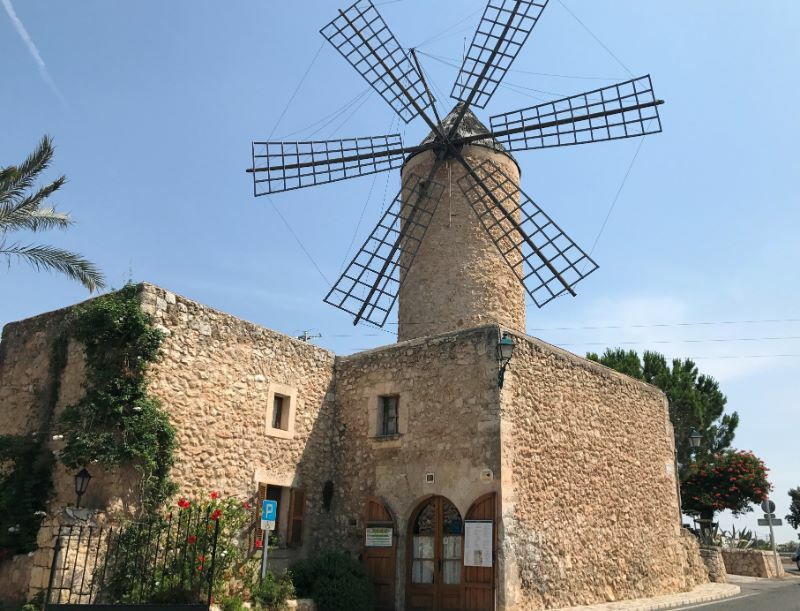 Ending the week was a ride out via Sencelles to Sineu and after a few laps on the Velodrome, we enjoyed drinks and cakes at Bar Triquet. 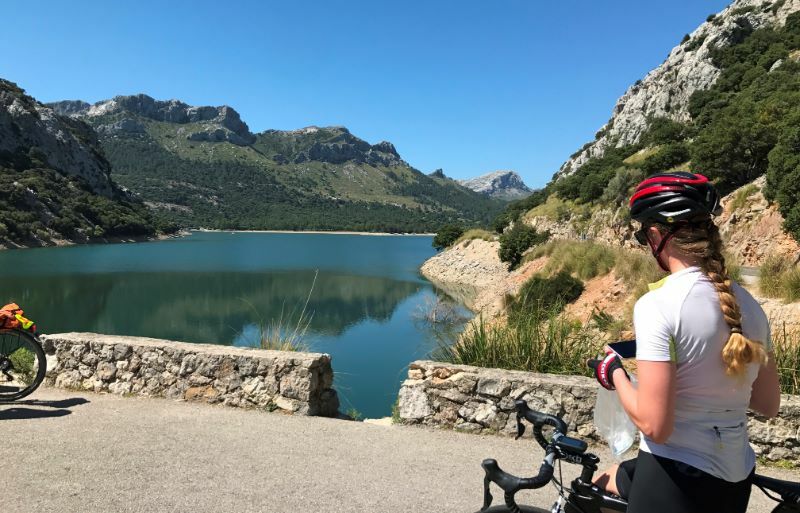 After the many km’s and metres of climbing, a meal in Siurell followed by drinks in the Sea Bar was an excellent way to end the week. 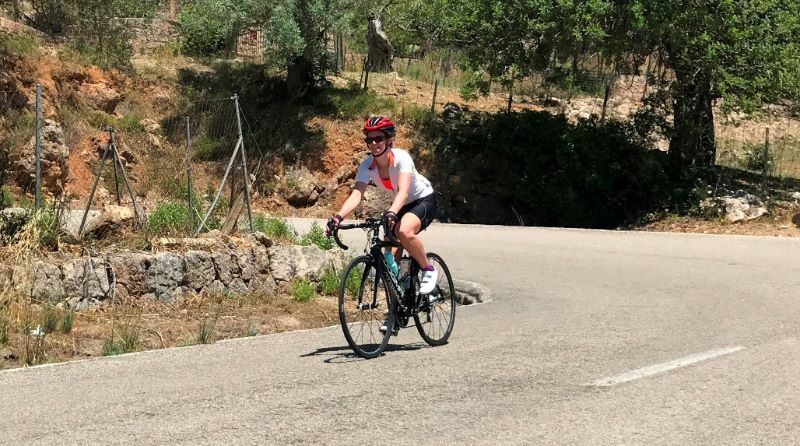 Julie only had time for a few short days of cycling but with LEJOG on the horizon, we had to go uphill. 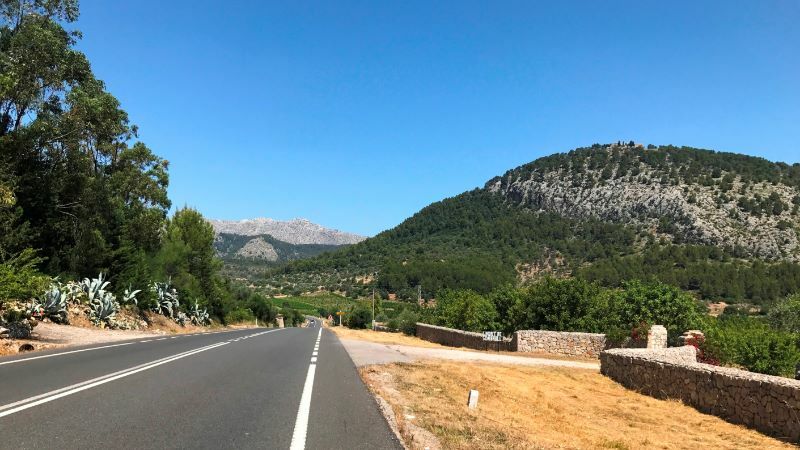 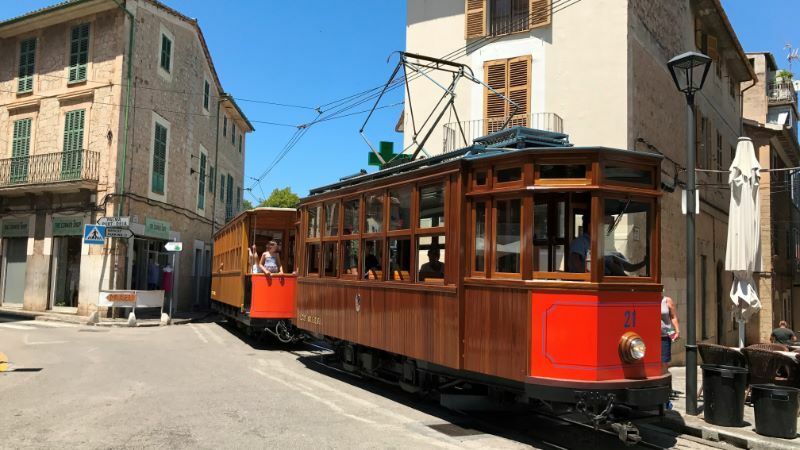 The easiest way to fit this in was two short loops, one including the Col de sa Batalla and the other an out and back up to the very picturesque Cuber with Col dels Reis on the way. 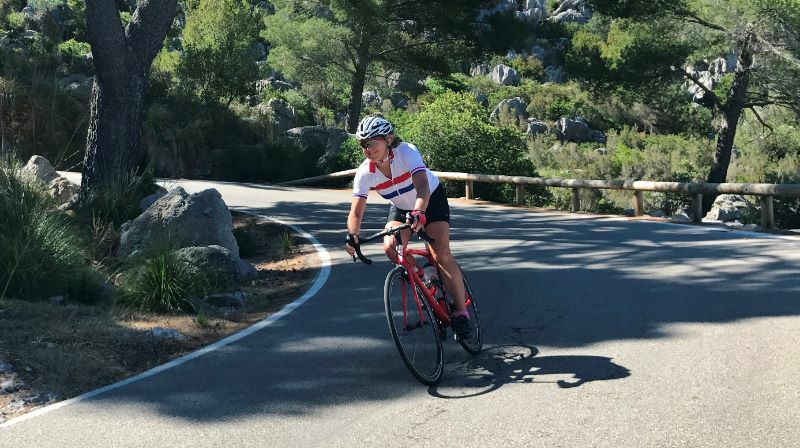 Julie was amazing, the further she cycled, the stronger she seemed to get and the faster she went! 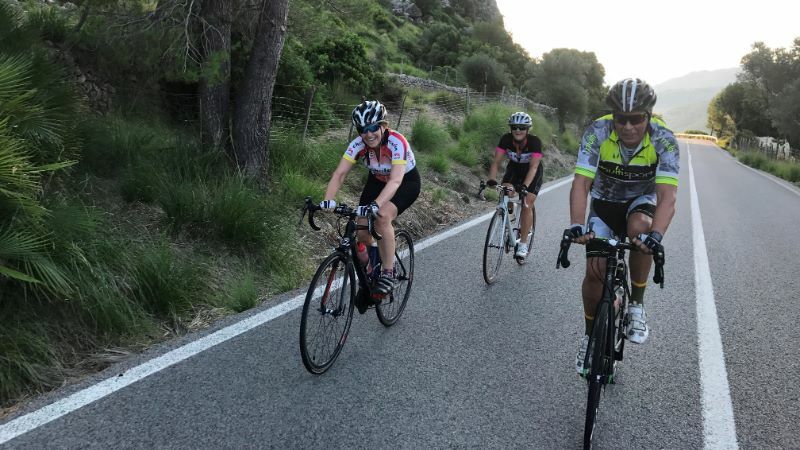 Fitter for cycling, able to get down the hills faster and more safely, those upcoming events will be a breeze! 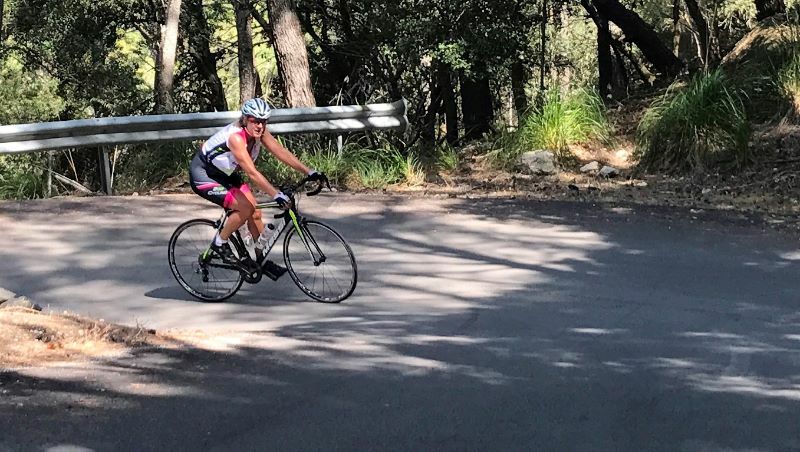 30:20:10 – Nearly got the 30 bit correct!